A reference to the sometimes violent natural world, in which predatory animals unsentimentally cover their teeth and claws with the blood of their prey as they kill and devour them. Where do you go when you want some manly music? When you are tired of the emo, “I need to cut myself today so I can feel” music? Something that might remind you of whiskey and cigarettes? Something you can drink yourself to sleep with. Something with testosterone. I want a soundtrack to my road rage. I want to make something just to destroy it later. And I found the right band. Testosterone laden as it may be, there does happen to be a chick in the band. She plays the cello. Perfect. 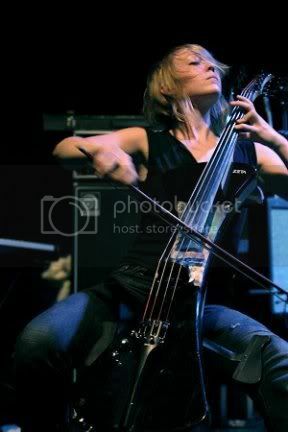 A cello is the only instrument that eloquently choreographs the lumber toward the depths of drunkenness. Anyway, with or without the cello… I can’t get enough of this album. I discovered this band four days ago and I have been listening nonstop. I had to write an emergency blog about them. You must check them out. It's just this kind of situation that is the reason I started this blog. To bring you this band. This is dark country rock infused with lyrics of death and remorse. Although the albums are heavily saturated with themes of sinning and being saved, they are not a Christian band. They just might be realists. Life is hard. The longer you live the dirtier you get. Dynamite Mine is a story of irony. its about a man who commits a murder in a mine where we works. He takes the victim there, kills him, and then buries him in the mine. Then, in a lovely twist of irony the murderer is killed under a rockfall that buries him next to his victim. The chorus is from the perspectives of the miners many years later who continue to tell the story of the mine and how the ghost of the murderer still lives deep in the belly of the mine. it goes: "son, cover your ears lord how the blast will ring and when a rumblin' shakes the walls you can hear that devil sing". Wicked and twisted. Just how I love it! The most current album is one about betrayal and revenge, and a journey home that is long and hard. 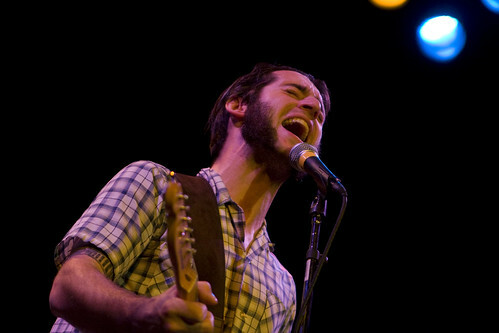 Oh...and this dude Turla: his voice is amazing and familiar. You might think, when you first hear it, that you are listening to a new Johnny Cash record! He's also been compared to Morrison or Cohen. There is much to still tell you, like the fact that the band's name comes from a play and movie. I could talk about how they met in Indiana while drinking. But all I want to do is talk about the good part. The song that I play over and over. It's amazing, and perfect, and it made me a fan. 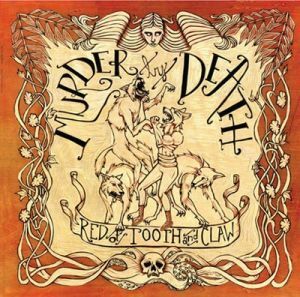 In fact, today I purchased every album by Murder By Death. These albums offer lots of gems. It's the song I think I want played at my funeral. It's just truly haunting and powerful. If you like it...please pick up the whole album...because there are more amazing tracks on it, like "Fuego" and "Spring Break 1899". Buy the older albums too...otherwise you will never get to hear the song "That Crown Don't Make You A Prince" or "Three Men Hanging"